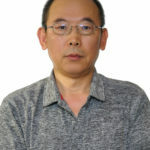 Jason (Zheng Zhu) is experienced in providing Swedishand deep tissue massage, effleurage, lymphatic drainage and various other massage and relaxation techniques. Jason is very skilled in determining the best and appropriate course of treatment needed for each client and is able to guide clients through range of motion and other special tests. The care and improvement of the client are his number one priority and will continue to be throughout his career. Jason is constantly updating his skills and continues to improve as a practitioner, thus in the long run benefiting the needs of his clients.